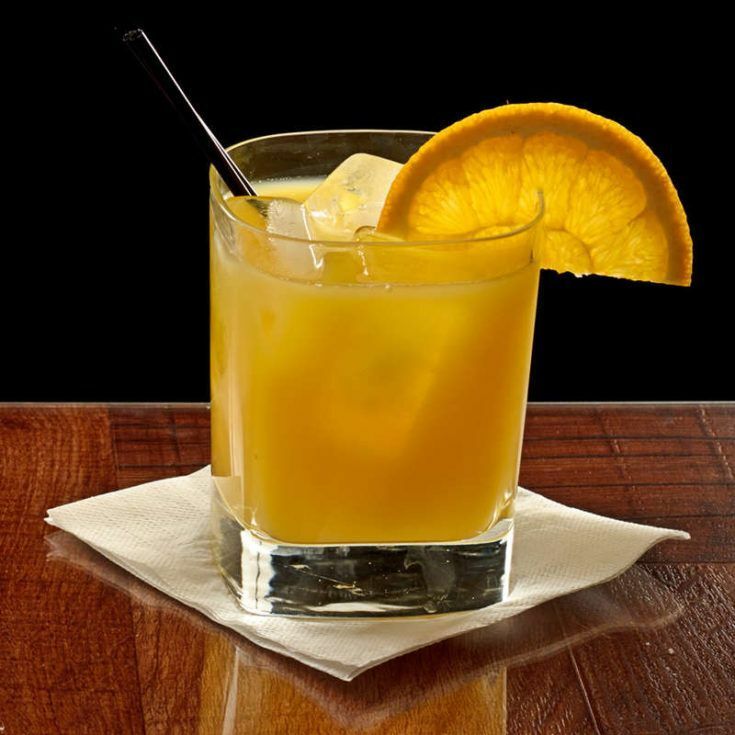 The Screwdriver drink recipe is one of the simplest cocktails you could possibly mix, which may be part of its enduring popularity. It actually has a third ingredient many people don’t realize it calls for. It’s a perfect pre-mixer for parties and a great quick drink at home when you’re too tired for anything complicated. Also, it has vitamin C! How can you beat that? Since the recipe is so darn simple and familiar, I’m going to cover some specifics on making the best screwdriver you can. With a drink this simple, quality of ingredients is everything. There’s no magic shortcut. The smoother your vodka, the easier a Screwdriver will go down. Avoid pulpy orange juice, and go with either a premium brand of orange juice like Simply Orange or fresh squeezed. Not every version of this recipe calls for the pinch of salt. But it smooths the rough edges of the orange juice’s acidity and the “burning” flavor of the vodka. This drink goes with any food orange juice goes with. The first meal that comes to mind is, of course, breakfast. But you don’t have to start drinking at 6 am to enjoy a screwdriver with breakfast: just have breakfast foods for dinner or lunch! Omelet, bacon, sausage, ham, pancakes, French toast – good, heavy, stick-to-your-ribs food. Ever-versatile Screwdrivers are also tasty with smoky foods, like a pulled pork sandwich or steaks from the smoker. Smoked almonds and cheeses make a nice munchie to snack along on with a screwdriver. Salty snacks work well, too, especially if they have a strong flavor. Try pretzels or flavorful crackers. Most recipes you'll find for the Screwdriver don't call for the pinch of salt. But it smooths the rough edges of the orange juice's acidity and the "burning" flavor of the vodka. This is a refreshing cocktail that's ideal for brunches. Fill a glass (traditionally highball) with ice. Drop in the pinch of salt. Garnish it with a slice of orange or a maraschino cherry, optionally. My ex-husband and I used to drink these after we got home from work every night. Brings back memories, good and bad LOL.